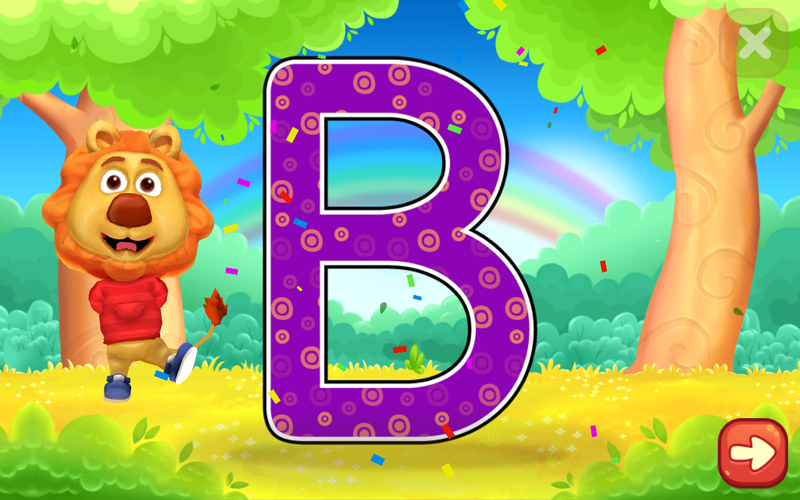 The app is for kids 5 years and younger and teaches them alphabet with beautiful graphics and tracing. 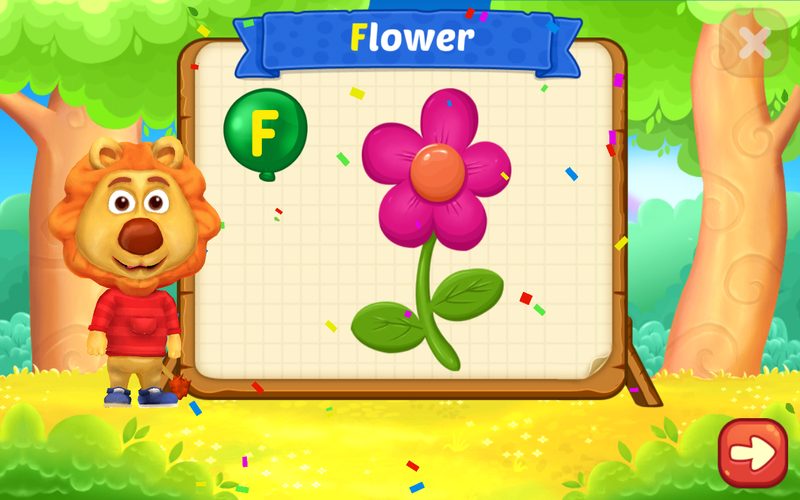 Very simple to use,kids will love it. 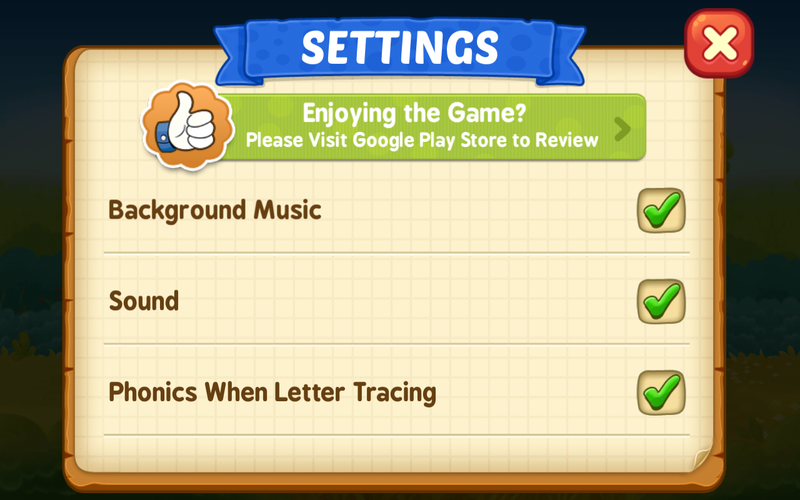 The music and settings have been made just right for kids. There are no advertising so it’s Hassel free. There is only one problem and that’s I think is a big one is that you can’t go back to the same letter or earlier tasks or even just go back to menu,the back button does not work. So the kids or the parents have to make the kids go on which might be tiring. 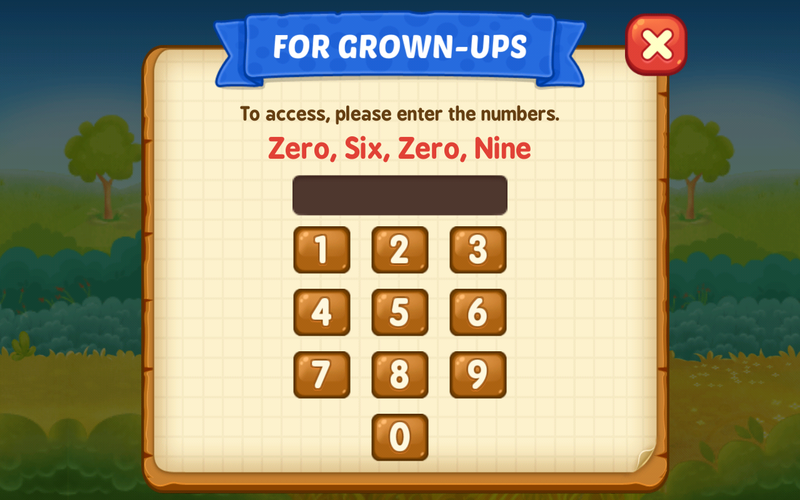 With short attention span of kids they might want to see something different then you will have to close the app and come back again for different things. 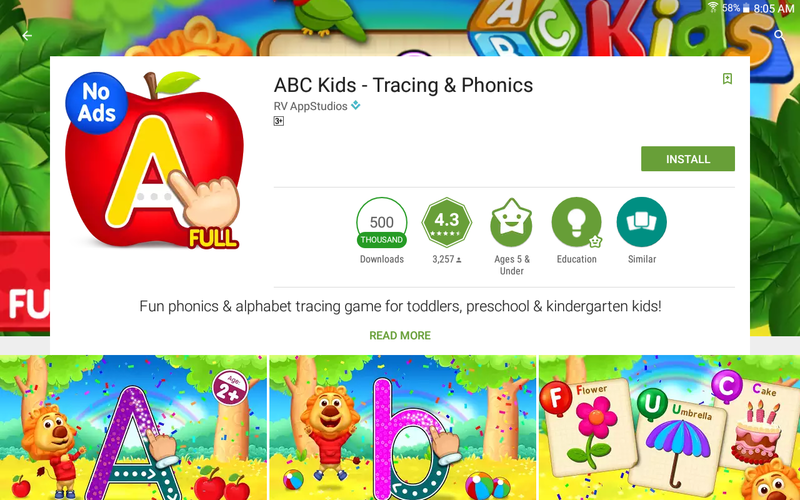 Otherwise the app is good for kids,after every three tasks kids get to collect a sticker. Try it you might like it.